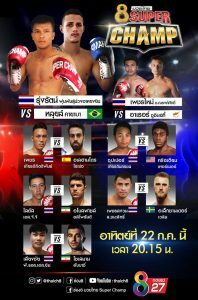 The newborn event ‘8 Super Champ’ is scheduled to be broadcast on Thai TV ‘Channel 8’ starting at 8:15 pm with 8 matches in the usual Thai vs ‘farang’ (foreigner) format. The first fight of the card will see Lopez 7 Muay Thai Gym, Alejandro López Morales is his real name and coming from a lot of fights under K1 (kickboxing) rules in Europe. He made his debut in Thailand with a TKO victory at the famed Lumpinee Stadium in Bangkok. This time the Spaniard will face Petch Kiakittiphan at the limit of 68 kg. 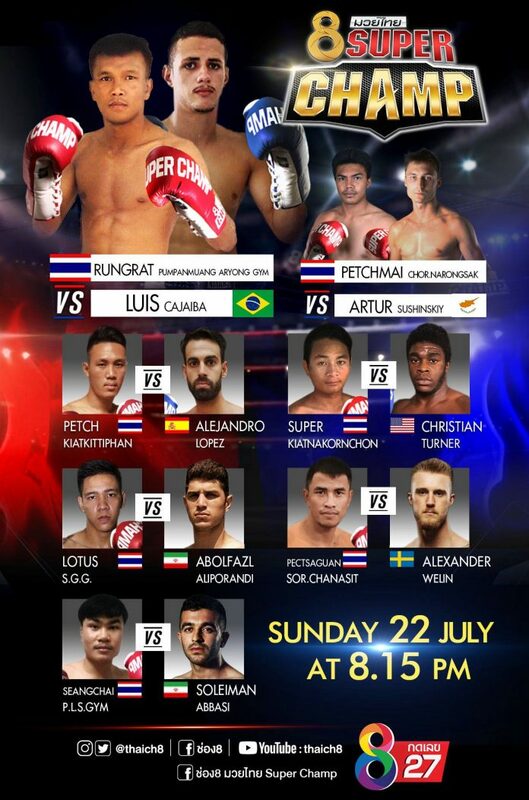 The main event will see the strong thai Rungrat Pumpanmuang Ayong Gym face the good Brazilian Luis Cajaiba.